EASI’s Mitigation Credit Price Report (MCPR) has been in strong demand through the first half of 2018, breaking new ground in terms of utility for a growing range of clients. Clients such as McKinsey & Company, NextEra Energy, Hancock Valuation Advisers, and even the European Institute for Energy Research have helped confirm the relevance of firm eco-asset market data for understanding the highest and best use of rural lands. 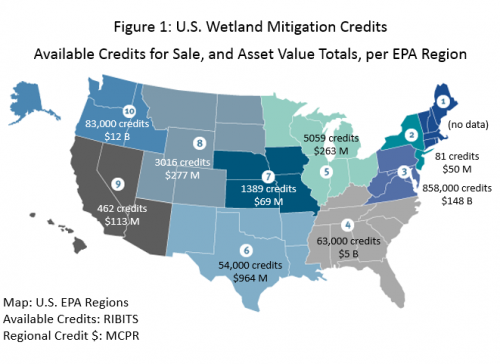 The new report presents a total of nearly $200 billion in held mitigation credit assets nationwide. Landowners and investors will want to study the regional distribution of these assets in relation to potential land based revenues and updated land valuation. See the full story here on LinkedIn.